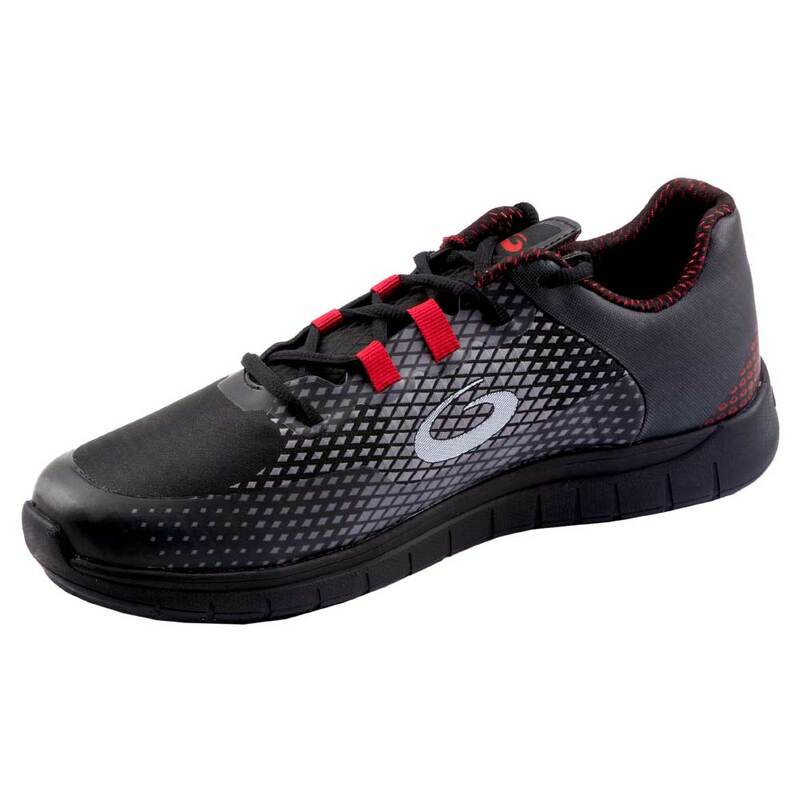 Features a "double gripper" design with premium rubber gripper soles on both feet. Perfect for stick curling, on-ice instruction, ice technicians and anyone who will not be sliding out of the hack. Equipped with Goldline's gripper technology, the gold standard of stability and widely regarded as the best in the market for sure footing. IMPORTANT: The Stance is a "double gripper" shoe and does not have any slider. If you would like this style of shoe with a slider, please check out our Breeze, Swift or Velocity. Goldline’s new line-up of G50 shoes includes Stance, Breeze, Swift and Velocity. These shoes are athletic, fashionable and packed with performance. All four styles feature a flexible upper and stable outsole for the perfect combination of balance and mobility. Stance features a “double gripper” design (not shown) with premium rubber gripper soles on both feet. Perfect for stick curling, on-ice instruction, and ice technicians. The G50 style is also available with a Teflon slider of various thicknesses on the left foot, perfect for right-handed curlers. The Breeze has a 3/32" Teflon slider, rated as a Speed 5. The Swift features a moderately paced 5/32" Teflon slider, rated as a Speed 7, with stability enhancing indents. The top-of-the-line Velocity comes equipped with a 1/4" Teflon slider, rated as a Speed 10, also with stability enhancing indents.